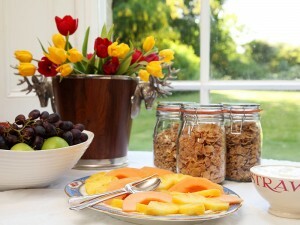 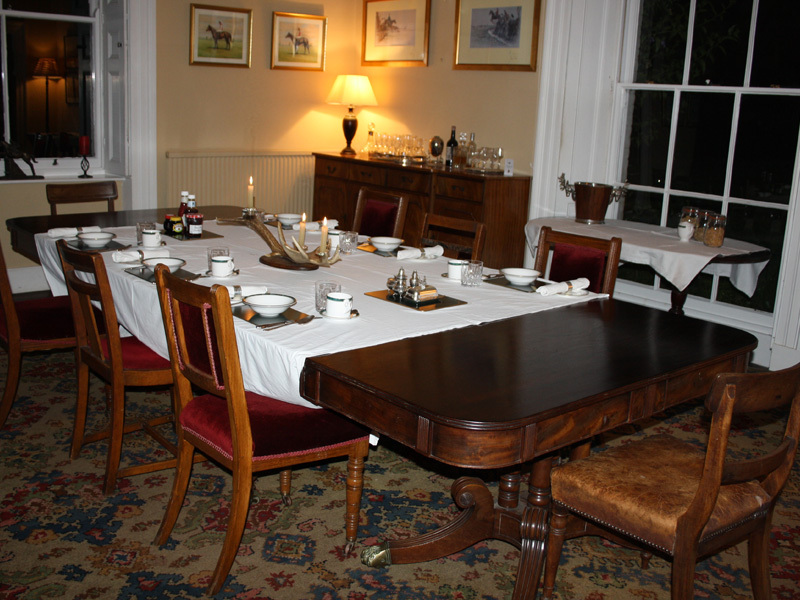 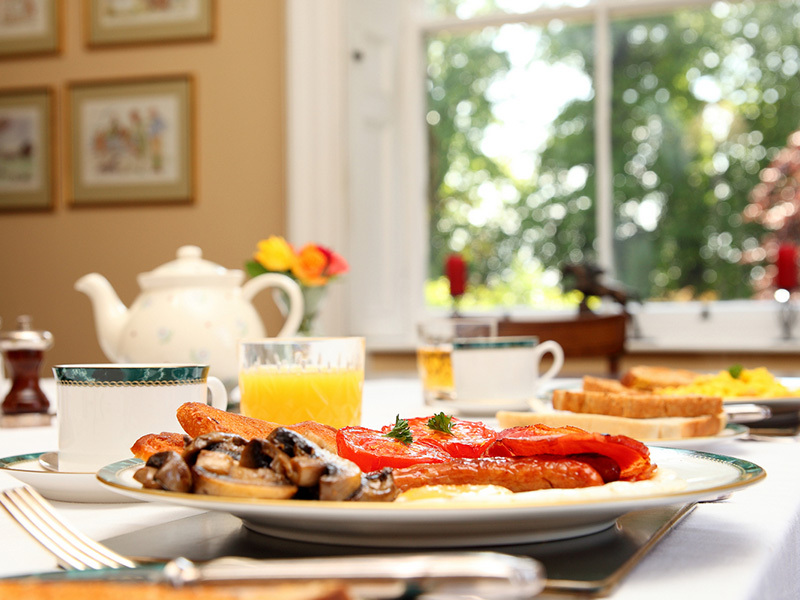 Breakfast is served in the dining room from 7.30am – 9.30am weekdays, 8am-9.30am at the weekends. Fresh fruit, cereals and yoghurt are on offer, followed by a traditional full-English breakfast tailored to your specific requirements. 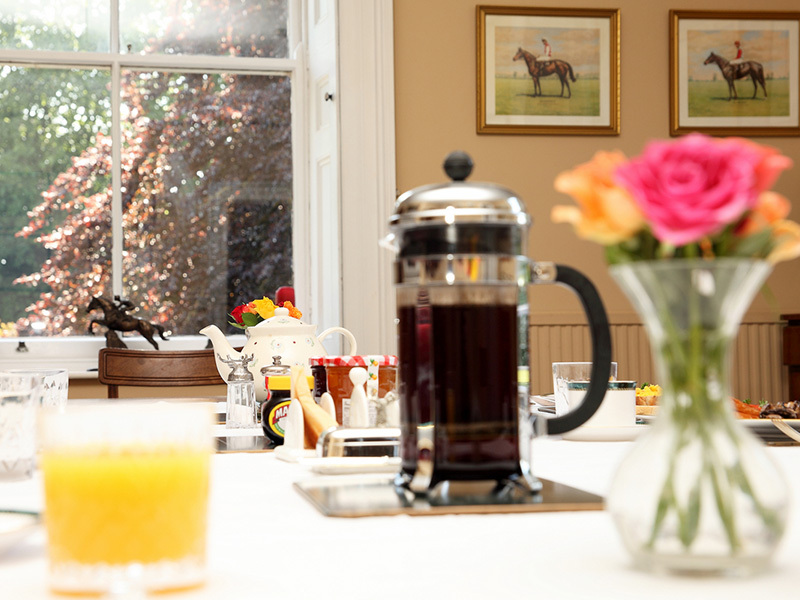 If you have any special requests please let us know in advance so we can do our best to ensure everyone’s needs are met.